How to make sourdough bread, use stone-ground heirloom flour AND make onion jam to spread on those fresh baked loves. When we take that connection a step further by investigating where the base ingredients for that food comes from…then, we are participating in the story of our food. But hey – we didn’t even scratch the surface of this big topic! And I’m sure this episode will leave you wanting to hear more. But fear not – I plan on having Sarah back soon. 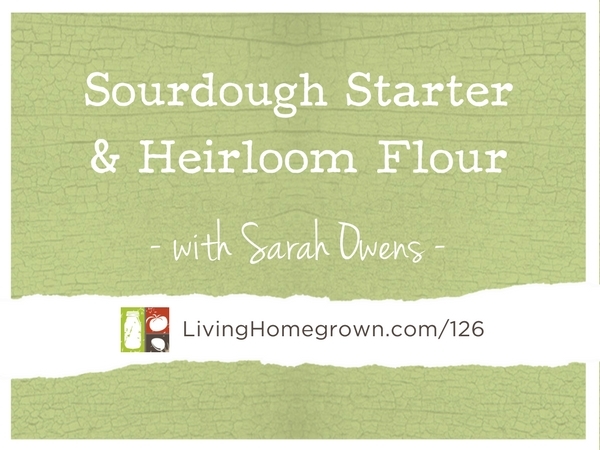 In the meantime, you’ll learn all about sourdough starter, heirloom grains, and even onion jam. 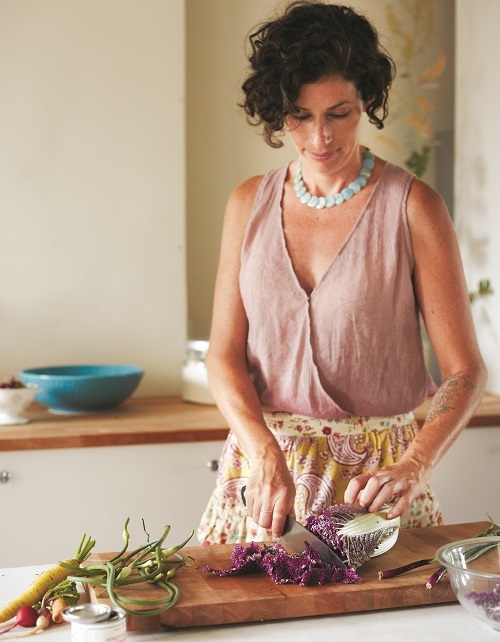 Sarah Owens is an autodidactic baker and gardener with a thirst for travel and an insatiable hunger for creativity in the kitchen. She grew up in Clinton, Tennessee, and received a bachelor of arts with an emphasis in ceramics from Bellarmine University in Louisville, Kentucky. After receiving a certificate from the New York Botanical Garden’s School of Professional Horticulture, she spent six years as curator of the historic Cranford Rose Garden and the Rose Arc Pool at Brooklyn Botanic Garden. She is the owner of BK17 Bakery, a subscription artisan microbakery that began in Brooklyn, New York. 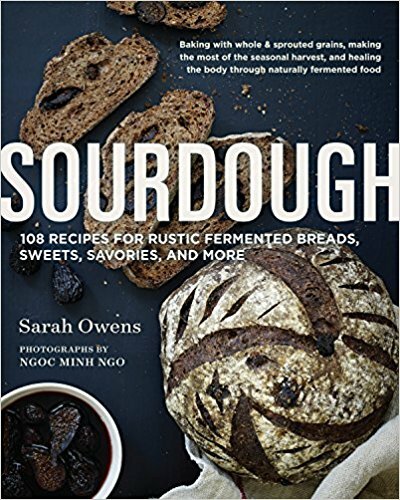 She is the author of Sourdough: Recipes for Rustic Fermented Breads, Sweets, Savories, and More, which won a James Beard Award, and she teaches workshops on natural leavening, fermenting, and horticulture worldwide. Most recently, Sarah has been working with The Sadalsuud Foundation, a nonprofit organization supporting Syrian refugees and building community throughout Lebanon. Sarah traveled to Beirut and Tripoli to help establish a naturally leavened bakery and to teach women how to maintain a starter and produce and bake sustainable, hearth-style breads. She is working with Sadalsuud to hopefully go back to Lebanon this year to develop a pastry program as well. When not traveling, Sarah lives and teaches seaside on New York’s Rockaway Peninsula. Want Sarah’s Recipe for Onion Jam? Sarah talked about the wonders of making a sweet n’ savory spread for your homemade breads and gave the example of her Onion, Thyme and Date Jam recipe. She has graciously agreed to share the recipe with us! 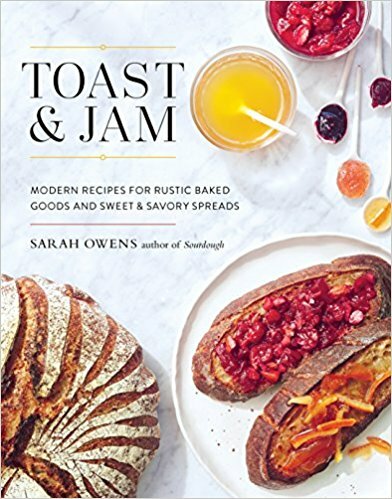 If’ you’d like a copy of the printable PDF version of this recipe excerpted from her Toast and Jam Book, just click the button below. First of all I LOVE your podcasts and listen and learn so much . I especially enjoyed this one, with Sara Owens. A friend introduced me to her book Sourdough and it’s changed my life. She is so knowledgeable and her recipes are SO delicious. Thank you for the interview- I hope you’ll have her on again. Keep up the fabulous work!!! This topic has been of interest to me for a long time, but have not taken the time to research. Loved the episode, I think one of the best, although I learn something on every podcast episode! :) Thanks Theresa for all the information on living a healthier life. I’ve listened since the beginning and will continue! I am just listening to this podcast today. I have been learning from sourdough since the summer. I have made one starter with grapes (with rye flour Arrowhead) and the other just flour and water (unbleached white KAF). I’ve had successes and failures. About even. But I haven’t given up. Thank you for the sources! I love the podcast! I learn LOTS AND LOTS!! I’m SOOOO glad you are enjoying the podcast Linda! Just the push I needed to get going with my own sourdough. Now to go order Sara Owens cook book!